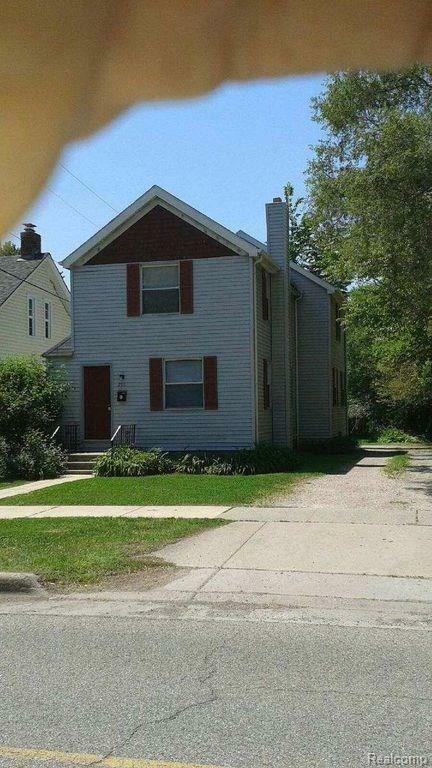 Great location in Ypsilanti only 1.5 blocks from EMU and walking to Depot Town! 4 bedroom (1 very large)/2 bathroom colonial with updated features. Updated windows, electric, insulation. Off street parking for 4 vehicles. Pictures from before Tenant moved in. Currently Tenant occupied until end of August then updates will be made. Price will increase after updates completed. Must have 48 hr notice to show. By appointment only - call Agent to set up. No sign on property yet. Agent Owned. IDX provided courtesy of Realcomp II Ltd., via Braven Enterprises Llc and Realcomp, ©2019 Realcomp II Ltd. Shareholders.